Spider was the size of an adult hand with the body the size of a thumb. Banded legs, huge fangs. Body had a metallic blue color. Web was circular, well organized about a meter across. 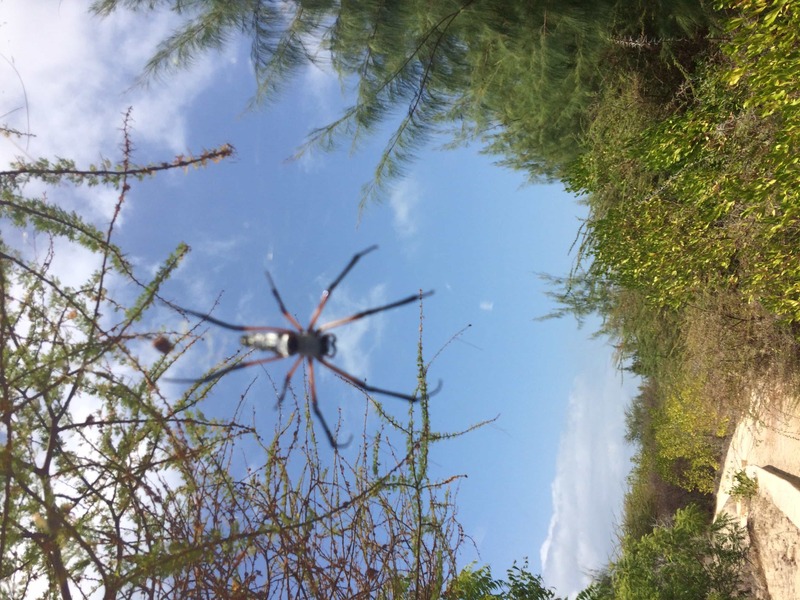 It looks like one of the Golden Silk Orb Weavers, one of the Nephila species in the family Araneidae.